Download and Install Nougat 7.0 Update for Oppo R5 . 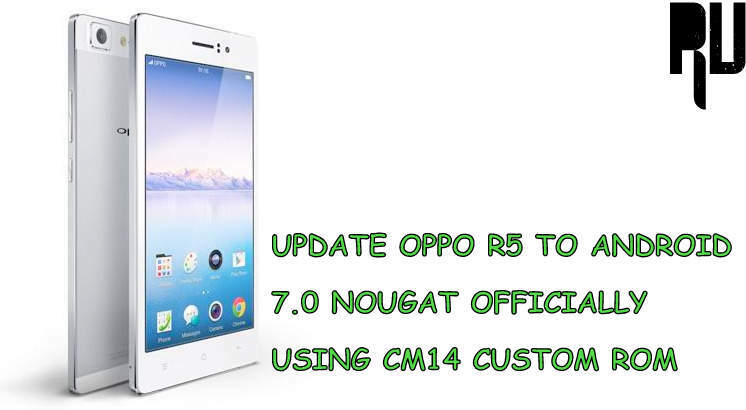 1 Download and Install Nougat 7.0 Update for Oppo R5 . 1.1 Upgrade oppo r5 to Nougat 7.0 officially CM14 rom . 1.1.1 Update Oppo R5 to Nougat 7.0 – Step By Step . Do you want to update Oppo R5 to android 7.0 Nougat, And want to Install nougat in oppo r5 ? If yes then you are at right place today we are here with the guide to upgrade oppo R5 to nougat . Oppo r5 is one of the most popular devices of oppo, The device comes with a 5.2 inches full hd screen with 1920X1080 resolution . For the protection of the display there is corning gorilla glass 3 which protects it from scratches . The smartphone comes with a decent hardware, Under the hood there is qualcomm snapdragon 615 processor and 2Gb of ram . The smartphone runs on android kitkat but now you can install official CM14 on Oppo r5 and update it to latest Android 7.0 . So lets start the guide . Upgrade oppo r5 to Nougat 7.0 officially CM14 rom . As the smartphone was launched in 2014 and still it runs on android Kitkat so we dont expect any official Nougat update for oppo r5 . But the users who want to update can simply install official cm14 rom and enjoy the newest android version on their android device . CM14 also known as Cyanogenmod 14 is one of the most popular and feature rich custom roms and the best part about Cm14 for Oppp r5 is that this is the official custom rom for the device which means you will get more updates and features . Related : How to root any android Device without Computer . No Hang or Lag problem, Thanks to the Ram optimization . Multi-window support for better multitasking . 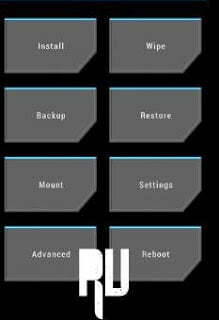 What works in the rom ? You may Also Like : How to Solve Heating Problem in android . This custom rom is only for oppo r5, You can check the name of your device by going in Settings > About phone . Proceed further only if your device is Oppo R5 . The Device must have CWM or TWRP recovery installed in order to Update Oppo R5, Here is the Guide on How to Flash twrp recovery on any android device without Pc . There must be more then 50% battery in your Smartphone and a minimum of 4Gb space is also required . A Pc and usb cable is also required . Update Oppo R5 to Nougat 7.0 – Step By Step . First of all Make sure the device have More then 50% battery . Now connect your oppo r5 to Pc using the usb cable . Now Download the Nougat update for oppo r5 in your Pc . Now After Downloading rename the file to Update.zip . Now copy the file in the root of Internal memory or Sd card . To boot in recovery mode press volume Down + Power button together . Dont release the keys until the smartphone enters in the recovery mode . In recovery mode you will see many options . Make a backup of all files . Now recovery will ask you to confirm the installation . Just tap on yes . Now the Installation procedure will start . After the Procedure gets completed you will get a notification ” Update.zip flashed successfully ” . Now just go back to the main screen and tap on reboot . Thats all !!! You have successfully Update Oppo R5 to android 7.0 Nougat . Now your Device will reboot, The first reboot will take around 3-4 minutes However thats normal and you need not to worry . To check the Android version of your Device just go to Settings > About Phone > Android Version . You will See it is 7.0 . Which means the device is successfully updated to the latest android version . Thats all !!! So this was how you can Officially update Oppo R5 to android 7.0 nougat . So this was our guide on How to Update oppo r5 to android 7.0 Nougat, I hope you liked our Guide . Os that works on OPPO R5S R8106 ?